Alex McMahon has written an article that lists 10 nutritional habits that will help you develop more strength and muscle. Looking for reasons to try CrossFit? Confused by all of the CrossFit jargon? Then let's make it easy. Forget everything you've heard and read Boxrox.com's list of Top 10 Reasons to Try CrossFit. The popularity of CrossFit has swept across the world with almost a million people signing up to participate in the 2016 CrossFit games. Those who want to but haven’t tried Crossfit have a few basic concerns, but the one that seems to stand in the way of their final decision usually boils down to the price. The concern is understandable and valid. So why does it seem as though CrossFit costs more than other fitness program? The blog post Why We Pay What We Pay for CrossFit explains what you are getting for your money and how CrossFit is worth the price. "Everything was hard, but I could do it with modifications, and now—I'm doing things I never thought I could do." Actress and TV personality Layla Kayleigh writes about 7 reasons why CrossFit Isn’t as scary as you think. This is a great article, especially if are looking to bounce back after recently having a baby. CrossFit… This stuff isn’t for me. Runners listen up! We hear this one a lot. Many who love to run may not feel that CrossFit can help them improve their running ability not to mention their overall fitness. But once you try it out for yourself you will realize that CrossFit can help you reach that next level of fitness and running stamina. 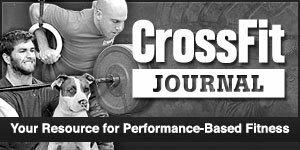 A great example can of what CrossFit can do for runners can be found on this Black Bolt CrossFit blog post. What is the first thing that crosses your mind when you see the workout of the day? Do you find yourself debating on wether you should perform the workout of the dat at the perscribed (RX) weight or if you should scale it back? The answer may not be as clear cut as you think. The article RX OR SCALED: HOW DO I DECIDE? by William Imbo on boxlifemagazine.com lists a few key things to keep in mind for going RX or scaled on your next workout. Josh Bunch reflects on his last five years of participating in the CrossFit Open and shares three ways to make the most of your experience. Article link: "That's the Open I Know"